I love discovering new brands. Nine years of beauty blogging should make me jaded and I am from time and again but I always look forward to learning about every brand philosophy and their drive to in creating products. And besides, I can't say no to an afternoon of legit french appetizers or as they say hor d'ouvres from Le Jardin. Thank God for uberpool because getting around the metro with all the traffic is sooo much cheaper now. Anyway, I was quite early for the event so I spent a long time by myself just taking photos and videos so I was able to do a sort of my videography of the whole event and the activities. One of which is a dream! There's a ringlight station with 9 ringlights you can use to film or do selfies while trying out product. In a world of beauty wherein 19 steps of skincare routine is the new normal, Unilever brought a game changer that is the Simple Skincare. With current trends gearing to less and more and going back to the basics is every one's latest #goals, why not right? Simple Skincare Philippines brought in the best of the best from its roaster to the Filipinas who are looking for a no-fuss skincare routine. Cleanse, Tone and Moisturize. With products containing skin-loving ingredients that are also kind to nature, there is no reason not to give this a try. Especially for those who are just about to start their first beauty regimen. But what Simple Skincare stand out for me is it's range of make-up removers. If you've been a loong time reader of my blog, you'll know how I take makeup removing and cleansing a serious part of my evening regimen. I am never without one and I never go to bed with makeup on. For me, it is a taboo. Majority of Filipinas think of this as a troublesome step in their nightly routine but supply yourself simply with a hardworking makeup remover and you'll love this step! Your skin will thank you for it, too. Simple Skincare made is sooo much easier for you to get on with the make up removing and I know what I'm talking about because I tried it. Even made a video for you! 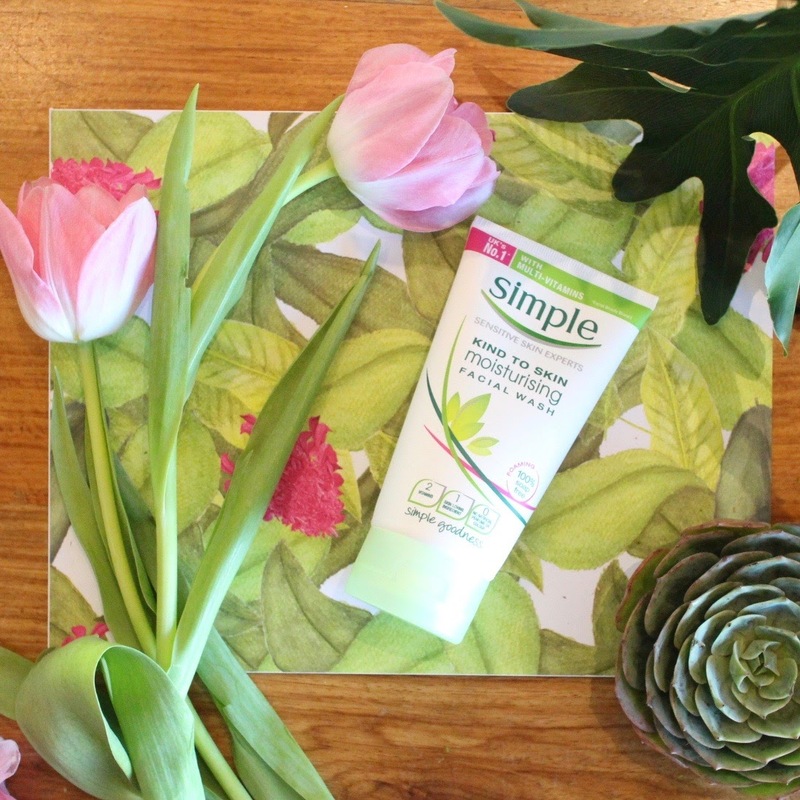 Simple is all about kindness to the skin. Their products are fragrance and paraben-free. No harmful chemicals is contained in their products, rather their ingredients are sustainably-sourced that its even kind to the environment. So kind that it's actually meant for those with sensitive skin. Simple's simple skin philosophy is not about strong beauty products... it's in realizing that proper and effective cleansing is the best way to achieve beautiful clear skin. And they translated these philosophies well in the market because their most popular products, their Micellar Water cleansers and facial wipes kind to the skin but tough on dirt and makeup. Ever wondered how Micellar waters work? How does a clear clear liquid product resembling your regular water attract all the gunk off of your face? Micelles are the heroes of these products and they are shaped like balloons and it's pretty impressive! So these balloon-like cells attaching to our skin and it actually has properties that absorb all the oil grime! It's sooo efficient that you actually can skip regular cleansing. But I won't advise you to do that. So yeah, all you need to do is get a cotton pad and soak it with the Simple Micellar Cleansing Water and you can rest your worries because this will remove all your makeup! I have to admit that my favorite makeup removers are the cleansing balms like Clean It Zero from Banila Co. But wipes come a close second because they are convenient to use! Finding a good makeup wipes took me a loong time (I will post about them soon) but Simple Micellar Cleansing Wipes are just the bomb 💣! Tried to remove my liquid matte lipstick from Jeffree Star and I didn't have that much of a hard time removing it. Plus since it's spill-proof, too! Next step for me after removing my makeup will always be the traditional clenasing using a soap, a scrub or my dear-old facial wash. Simple has one that's made even for sensitive skin. If you ever feel like your skin needs a dose of skin-caring facial wash, this is your top choice. It reminds me of derma-grade cleansing wash that's really gentle on the skin. 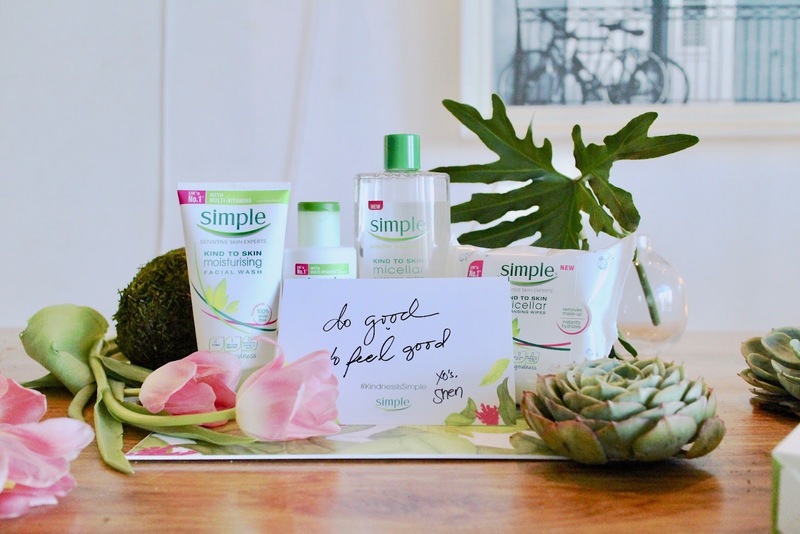 My skin is simply loving Simple's micellar line. I'm glad that the price point is not as expensive and it's available at my favorite stores. Let me know which product you'd like me to do a thorough review and a video of and I'll gladly do it for you!